No worries, we all have those days. But there’s no reason to resort to the likes of botox just yet. Especially when you can combat aging from the inside out. Certain foods have tremendous healing powers that not only fight the appearance of aging – but also protect your body from the ravages of toxins, pollution, and inflammatory foods. The best news? 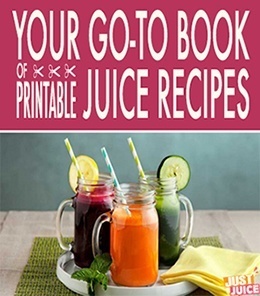 You can sneak these empowering little ingredients into your everyday juice (and smoothie) recipes to say goodbye to wrinkles and hello to glowing skin! Without further ado, here are the top juicing ingredients to stock up on for your daily anti-aging routine! A sweet addition to any juice, beets are a great way to combat signs of aging. Beets contain vitamin A, which combats oxidation caused by free radicals that leads to age-related degeneration and also helps fight sun damage, and folate, which contains amino acids that help to strengthen the connective tissues in our body that can lead to sagging and loss of elasticity. 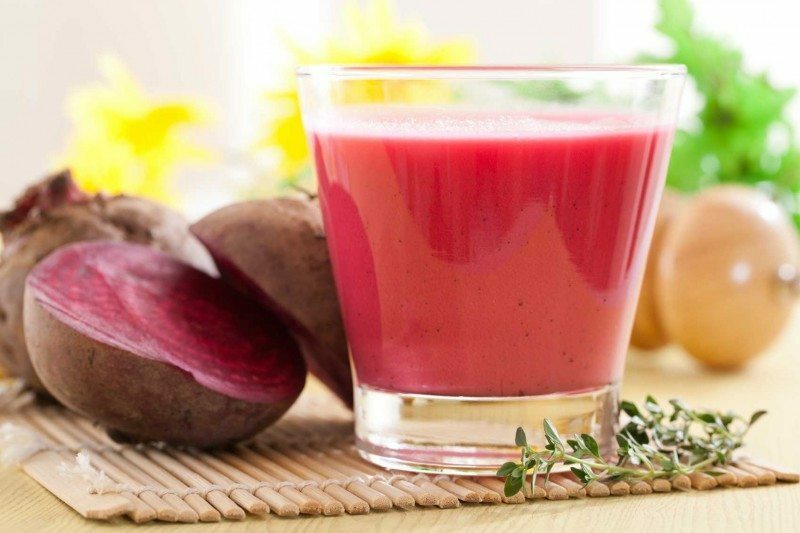 Time to get juicing with this tasty, must-have ingredient for anti-aging – you’ll want to once you get to know the many other health benefits of beets! Ah, cucumbers. Delicious, simple, and soothing. 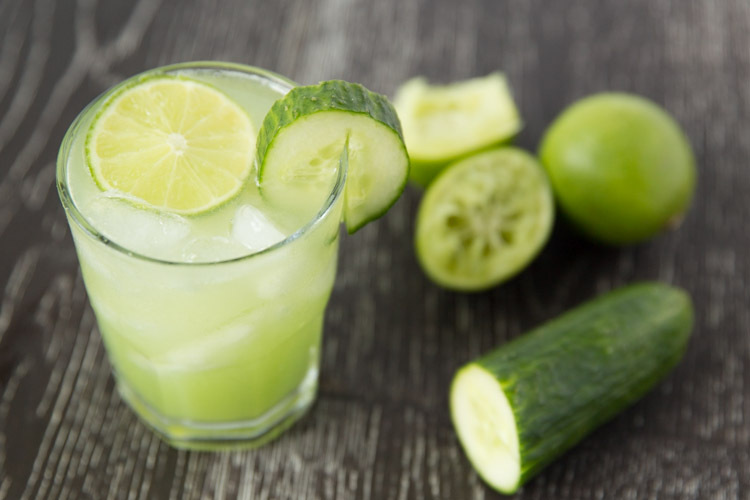 With major anti-aging benefits like being an anti-inflammatory, antioxidant, stress manager, and digestive fiber, cucumbers make a great addition to any juice. Working against the pro-inflammatory enzymes, cucumbers can really help heal us from the inside out to reduce pigmentation, breakouts, scarring and wrinkles. Apples aren’t just a snack – they can also help you achieve smoother, younger looking skin, among a plethora of other health benefits. Packed with Vitamin C, apples can help speed up your skin’s production of cells that can strengthen your skin and give you that youthful glow. 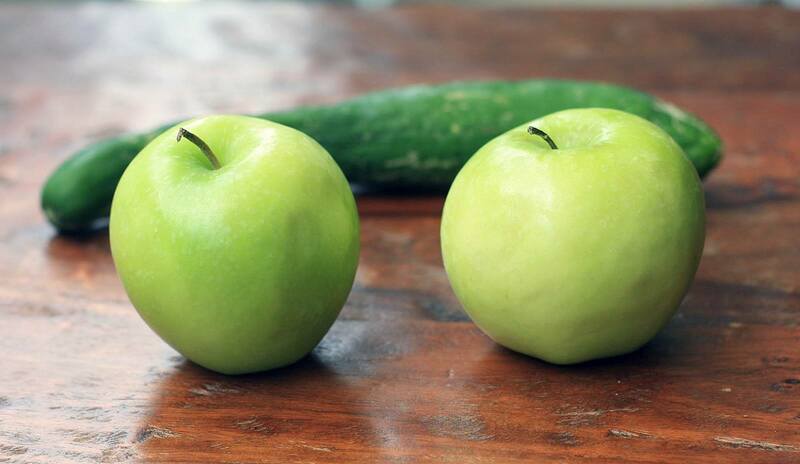 Maybe the doctors were onto something when they said we should take an apple a day? 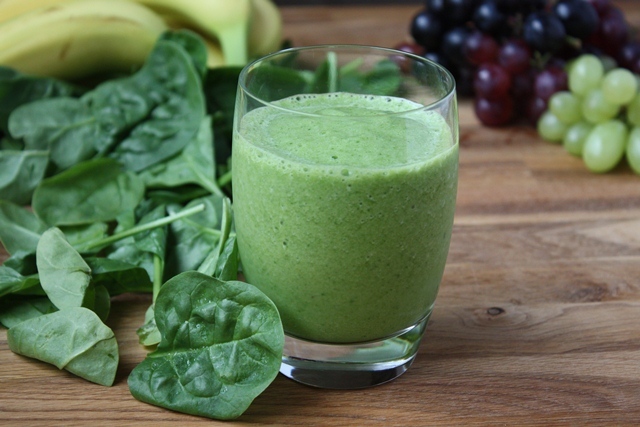 Popeye ate it for a reason – spinach is definitely one superfood to include in your juicing routine. Spinach contains an abundance of magnesium, the mineral that helps to regulate cortisol levels that can degrade collagen – the major booster we need to combat signs of aging. Just like any other leafy green added into the mix, a little goes a long way, so spinach is definitely easy to sneak it in. Find out the lovely health benefits of spinach! Containing carotenoids, pink grapefruits can help to combat skin damage and the result of too many hot summer days lying out on the beach without sunscreen (tsk tsk!). It can also boost your defenses against those damaging sunrays, so think of it as your little protector as well. Carotenoids are high in antioxidants, so add some pink grapefruit to the mix and combat those vicious free radicals that can lead to those inevitable signs of aging. 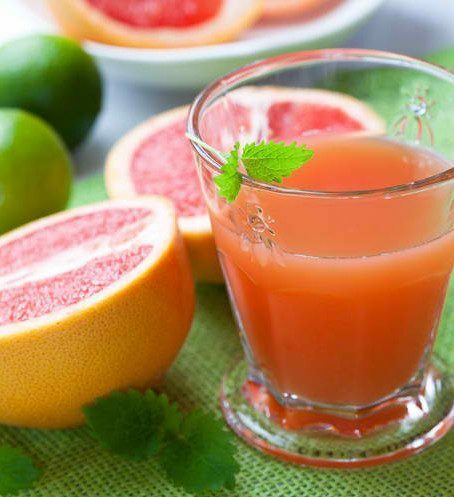 Oh, and did we mention that grapefruit is also helpful for weight loss? 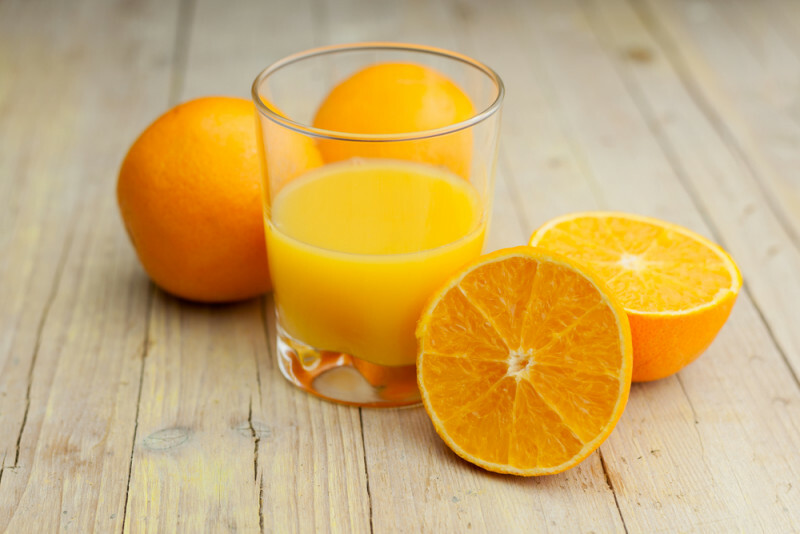 Great to eat and even better to juice, oranges have an abundance of Vitamin C, lutein and zeaxanthin (carotenoids), and Vitamin E.
The vitamins in oranges work together in a very unique way – Vitamin E traps free radicals, but with its limited room it then transfers them to Vitamin C, which neutralizes the radicals. So think of oranges as a one-stop-shop when it comes to combatting free radicals with key vitamins! A vegetable, yes, but red bell peppers can actually be a great way to add some sweetness to your juice. With immunity-boosting properties, red bell peppers are one of the highest-ranking foods for containing Vitamin C.
With this amount of the healthy vitamin, you can reduce oxidative stress damage and increase the production of collagen to help fill in those fine lines. You knew this one was coming, didn’t you? 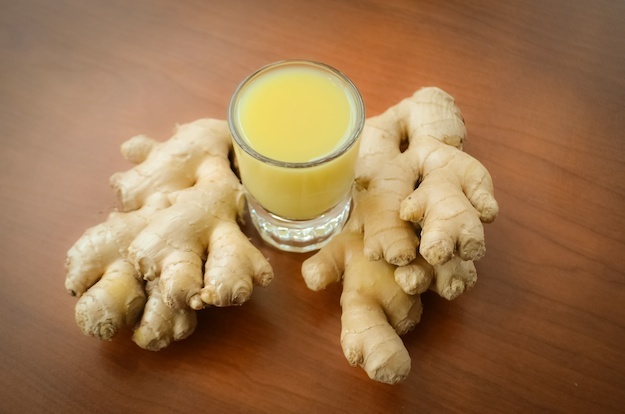 As a natural anti-inflammatory, ginger has many health benefits – including anti-aging qualities. By working on the gastrointestinal tract, this super herb helps to improve and heal weakened digestive systems that can show damage on our faces as well. Ginger can help to improve circulation throughout our bodies, resulting in the removal of toxins while allowing oxygen to get into our tissues to benefit cell reproduction – a key to combatting signs of aging. Add ginger to give your juice that extra kick it needs with some added spice! An anti-aging, weight-loss boosting water alternative to add to any juice, green tea is chock full of antioxidants to combat inflammation. 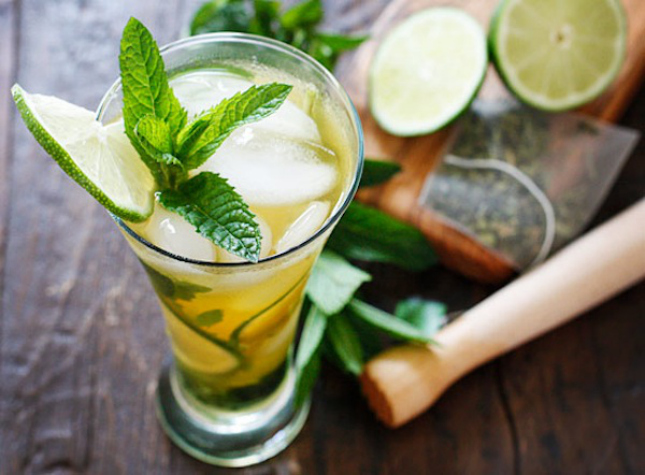 With powerful antioxidants that can maintain or extend the life of telomeres (little protectors of our DNA strands that help cells continue to replicate and fade away as we age), green tea is one small juice ingredient that can sneak in some major benefits. Use the tea leaves you have in your cupboard or grab a powdered version to add to your juicing. Not to be confused with the processed cocoa you find at most supermarkets, raw cacao is a superfood with super powers. With extremely high levels of antioxidants (including the very powerful antioxidant, polyphenols), cacao beans are renowned for their anti-aging qualities. These antioxidants are responsible for fighting and preventing free radical damage which can cause those unwelcome signs of aging. If that isn’t more than enough, cacao is also a great, healthy way to mix it up when you can use some chocolate. 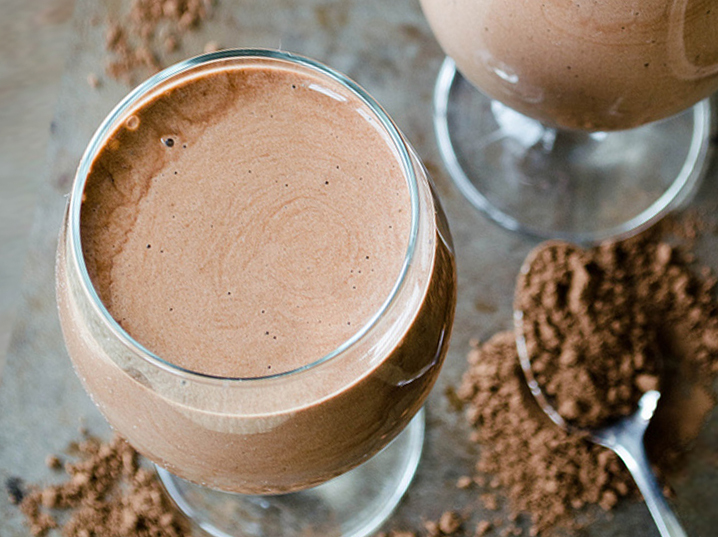 This doesn’t work in juice recipes – you’ll want to add in the raw cacao into your smoothies! 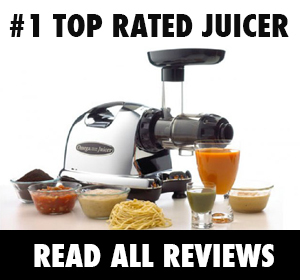 When you get into your juicing routine, we suggest you try to be adventurous and add something new in the mix. It may sound like some ingredients should never be combined (spinach and pomegranates?) 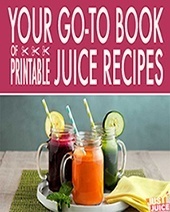 but that’s the true joy of juicing – when all of these amazing ingredients are blended together, you reap the benefits of sneaking in those unexpected nutrients. Happy juicing!